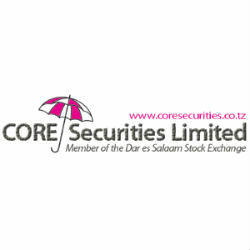 According to the Weekly Market Report of the trading week ending on 10th December, 2013 issued by CORE Securities, a leading Tanzanian licensed stockbroker, the Dar Es Salaam Stock Exchange turnover in the market increased by +1421% to 5,891.95million from 387.46 million. Both local and foreign investors participated in the market. Foreign Investors participated by 54.19% while Local Investors by 45.81%. On Friday 10 January 2013 the DSEI (ASI) closed at 1,916.67 (+2.16%), TSI Closed at 2,849.01 (+0.03%), IA closed at 3,414.56 (+0.00%) and BI Closed at 2,524.88 (+0.05%) points. Last Treasury Bills auction was done on 31 December 2013 with a total of 34 successful bids for a value of 12,670 million. On Friday 10 January 2014 Closing Spot gold Price was up by +1.17% to 2.019 million per ounce (1 ounce = 31.10 grams).